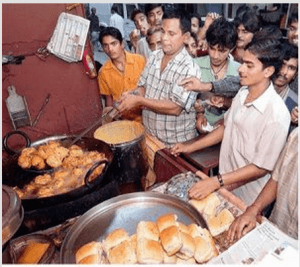 Researchers from Modern College of Pune, India, produced biodiesel from used cooking oil, which would otherwise be thrown away by the contractor of their college canteen. While many commercial kitchens heat oil till a point at which it is not useful for cooking anymore, consumption of dishes made from excessive heating of oil increases levels of triglycerides and cholesterol in blood and thus increases the risk of heart diseases. But finding a healthy, economic and environment-friendly utility to such oil is certainly an achievement. Biodiesel’s characteristics like nontoxic and biodegradable in nature, and it being a fuel product that doesn’t emit sulphur into earth’s atmosphere makes it environment-friendly. Ganesh Shinde, a botany student, who was already researching on bioenergy cultivation concepts and on the lookout for a proper raw material, took up this project with an idea that used oil could also carry the properties that could yield bio-fuel. The project was a part of the ‘Young Scientists Initiative’, sponsored by his college. “All the nutrients vanish from the used edible oil, leaving behind the triglycerides, replete with fatty acids. To this, methanol, concentrated acid and sodium hydroxide was added to release energy,” says Dr Gopale. Unsaturated triglycerides are the main constituents of vegetable oil. During transesterification process, triglycerides splits into their components – 3 fatty acids and glycerol. The resulting fatty acid esters can be used as fuel in diesel engines. Dr Dilip Dhawale, Head of the Department, Chemistry, Savitribai Phule Pune University says, “Turning into a polymeric material with use, cooking oil lends itself for creating diesel. There are different methods to prepare biodiesel, but not all of them are feasible given the cost and time involved”. Agreeing, Dr Abhijeet Shirke, managing director of Shirke Energy, an Indian biodiesel manufacturer, which extracts biodiesel for various types of biomass, says “Used oil definitely has the potential to become bio-diesel. But in India this has not taken off due to hurdles in procuring raw material. We are yet to evolve a sustainable system of collecting used oil and there is always the fear of adulteration.” Pune Mirror notes. While Shinde says “We are working on identifying different uses for the fuel we have produced, to understand what appliances can run on it,” , Dr.Gopale is positive that it would be the best alternative when there is a shortage of electricity and could even be used for agricultural purposes like water lifting and running a tractor. New Revolutionary Recipe For Making Biodiesel In Under 6 Seconds!